While each home sale transaction is unique, an efficient and effective selling process must involve an intentionally consistent step-by-step methodology. 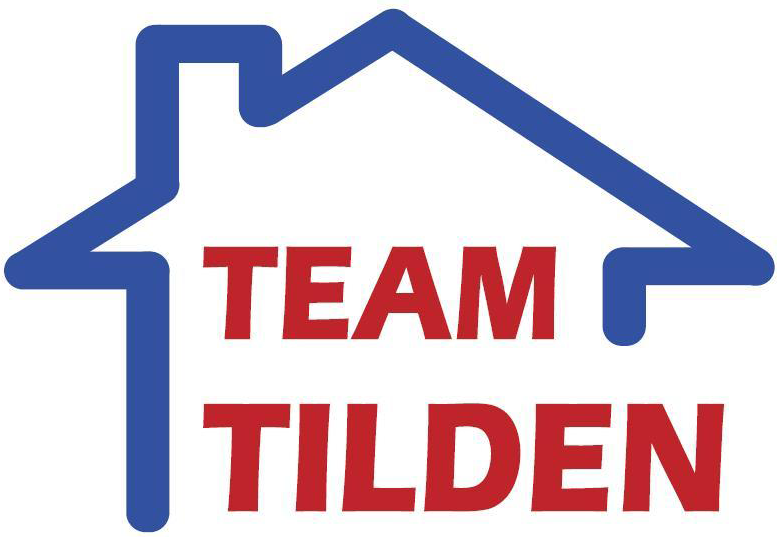 Team Tilden’s Home Selling System is amongst the most comprehensive in the real estate marketplace. Its hands-on, value-add approach generates the best possible sale price results - maximizing your return on investment – in the shortest possible time under the most favourable terms with minimal disruption to your personal life. Review and execute a Working with a Realtor acknowledgment, Exclusive and MLS Listing Agreements, a MLS Data Information Form, and a Showing Instruction Checklist. Your completion of the Seller, Property & Home, and Favourite Home Features & Benefits Profiles and the pulling together of all required documentation will ensure proper disclosure of material facts pertaining to the sale of your home and will facilitate the preparation of your representation and listing documents. A home’s location, size, style, amenities, condition and neighbourhood, the state of the economy and the real estate and mortgage markets, and comparable homes recently sold and currently listed for sale will all impact the sale of your home. We will prepare a comprehensive and well-researched Competitive Market Evaluation that is comprised of a listing of all recent real estate sales in the immediate vicinity of your home, a summary of comparable properties that have recently sold (what people are willing to pay) or are currently for sale (what your competition is asking for) with a detailed reconciliation of same with your home, a resulting estimate of your home’s current market value, a recommended listing price, and an estimated sale price range for your home. Ultimately, it is the market that determines the true value of your home. Homes that are updated, attractively staged, and properly priced at their current market value tend to sell faster, often generate competing and more attractive offers. Overpriced homes tend to attract few qualified buyers, have fewer showings, are used to sell other more competitively priced homes, become market worn – a negative stigma - often requiring price reductions to renew prospective buyer interest, take longer to sell, and eventually have to be sold below their current market value. Select and engage qualified, reputable professionals including a: Real Estate Lawyer, Mortgage Broker, Home Inspector, Home Staging Consultant, Home Insurance Broker, Building/Renovation Contractor and Home Service Providers as dictated by your circumstances. FREE Pre-Listing Home Inspection by a Registered Home Inspection Professional to identify any existing or potential problems that can materially impact the marketability of your home, ensure compliance with Ontario's stringent disclosure requirements, reduce purchase offer conditions and circumvent unexpected and costly closing delays. FREE Seller Home Closing Insurance to cover unexpected non-recoverable costs resulting from delayed or failed closings. Note: The Insurance coverage is subject to certain reasonable requirements and conditions. We will discuss the rationale and benefits of these value-added services to the sale process to ensure your understanding of same. FREE Home Sale Preparation Consultation of up to two hours with a certified Interior Design Consultant who will provide you with a Home Sale Preparation Plan to affordably enhance your property and home's appeal to the widest variety of prospective buyers. FREE Buyer Peace-of-Mind Home Purchase Incentives to enhance the marketability of your home. Includes: Home Inspection Report with corresponding Home Reference Guide and a 12-month insurance-backed Home Systems & Appliance Breakdown Warranty. Prepare and stage your home and property for sale to enhance their marketability to the widest range of prospective buyers referencing the attached Preparing Your Home for Sale. The resulting pictures will professionally and favourably position your home’s quality image in the minds of real estate professionals and prospective buyers through their use in the production of high-quality marketing materials such as Just Listed - Open House Flyers, Feature Brochures, Take-One Feature Sheets, Newspaper Advertisements and an Online Slide Presentation for your MLS listing. Install a For Sale sign with Take-One Feature Sheet dispenser on your front lawn to provide 7/24 exposure of your home’s availability to your community and prospective buyers and a lock box on your main entrance door to facilitate ease of access for agent-conducted showings of your home. Review your agreed upon showing instructions with the RE/MAX Realtron appointment call centre and arrange for our email notification of all confirmed bookings so that we may monitor same. Our Realtron appointment system automatically solicits email feedback from each showing agent immediately after a scheduled showing and we personally follow up with each showing agent via telephone. Post a comprehensive listing including a slide show of your home on TorontoMLS.net, Realtor.ca (formerly MLS.ca), Realtor.com, RE/MAX.ca, RE/MAX-oa.com, RE/MAX.com, HomeFinder.ca, RealtronHomes.com and our own website – TeamTilden.ca to provide 7/24 exposure of your home to real estate professionals and prospective buyers conducting online research. Provide key real estate professionals and known prospective buyers with advanced notice of the pending listing of your home to gauge potential interest. Implement our comprehensive, aggressive, multi-channelled Home Selling System to ensure maximum exposure of your home in the marketplace to as many real estate professionals and prospective buyers as possible during the first two weeks of its listing – when the highest level of buyer interest, home showings and offers to purchase generally occur and the best possible sale price is often realized. Where prudent, our approach endeavours to drive multiple offers by creating a sense of urgency in a controlled offer timeframe. Send an email announcement to key real estate professionals serving your community and REMAX Realtron’s 500+ GTA real estate sales representatives. Match and send email an announcement to prospective buyers, in our database, who may be interested in your home. Canvass your neighbourhood and distribute Just Listed / Open House flyers. Neighbours are often an excellent source of prospective buyers – family, friends, other neighbours, and business associates. Place advertisements over the listing period in the real estate section of your community’s local newspaper(s). Conduct a joint real estate professional and neighbourhood open house with refreshments and solicit valuable attendee feedback on your home’s marketability and the prospect of a sale opportunity. Conduct one or more public open house(s) and solicit attendee feedback on your home’s marketability and the prospect of a sale opportunity. Facilitate home showings to prospective pre-screened buyers and their real estate representatives through our dedicated RE/MAX Realtron Realty appointment call centre and lock box access system then solicit each buyer’s real estate representative for their client’s feedback on your home’s marketability and the prospect of a sale opportunity. Review, compare, evaluate, and negotiate offers and present counter-offers on your behalf and always with your final approval. Assess whether or not prospective buyers are ready, willing and able to complete the sale. You benefit from our knowledge, access to resources, superior negotiating skills and expertise while we act as a buffer between the buyers and you to ensure that your negotiating position is not compromised. Wherever possible, counter-offers are presented directly to prospective buyers. Oversee the preparation and execution of the Agreement of Purchase and Sale and related documents and their distribution to the appropriate parties. Ensures accuracy and thoroughness of all required documentation and that they comply with the many legal statutes and regulations governing real estate transactions today. Arrange for the activation of a 6-month insurance-backed Home Systems & Appliance Breakdown Warranty to reduce the buyer’s exposure to potential ownership risks associated with your home. Retain a permanent record of all transaction correspondence, activity and documentation. Assist the buyer, your lawyer and you throughout the closing process including the coordination and secure access of and personal attendance at home inspections, mortgagor-mandated property appraisals and pre-closing buyer visitations and the resolution any post-closing transition issues such as utility transfer and mail forwarding. We will be available to assist as needed on your closing day including the expediting of the key transfer. Marketing of your home will continue during any offer condition fulfillment period to minimize the risk of a re-negotiation and loss of ongoing market exposure should the deal fall through. Conduct weekly sales activity and market status reviews with you via teleconference and, where deemed prudent, fine-tune our sales strategy. This will provide you with useful, informed insight into the outcome of the various multi-channel promotional activities we have undertaken on your behalf to market your home. Provide you with value-add strategic and pragmatic guidance in regard to related legal and financial issues. Ensure prompt, courteous response to all of your enquires. Follow up with you to ensure your complete satisfaction with our service and your real estate sale transaction outcome. This provides us with valued feedback pertaining to the quality of our service offering and your overall service experience.